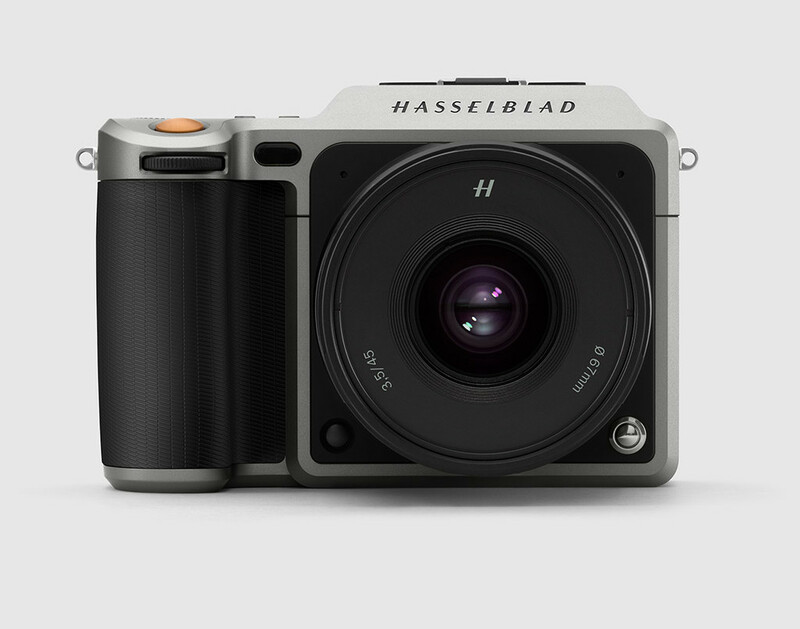 In 2016, Hasselblad introduced the X1D-50c, a game changer in the portability of medium format. 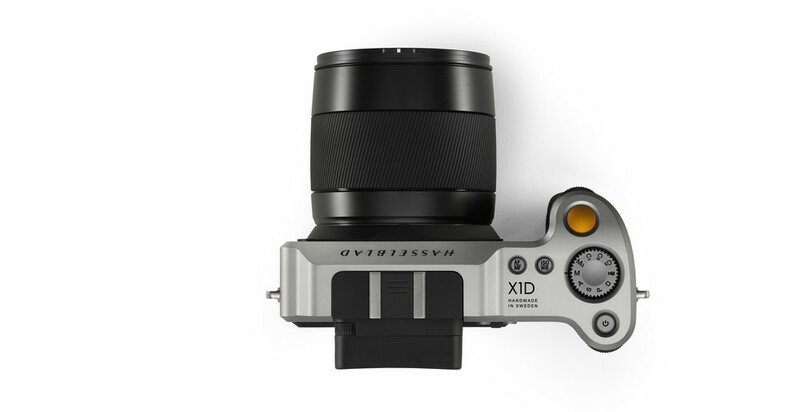 Finding the right balance for the design of the X1D was a challenge as its designers tried to combine contemporary and unique elements that would give Hasselblad a look that future models could be built off of. Taking inspiration from older Hasselblad cameras, small details were integrated into the distinct composition of the X1D. Looking straight on at the X1D, the family resemblance is clear with the classic square and circle with a wide Hasselblad nameplate on top from the V System next to the distinct, straight grip from the H System. 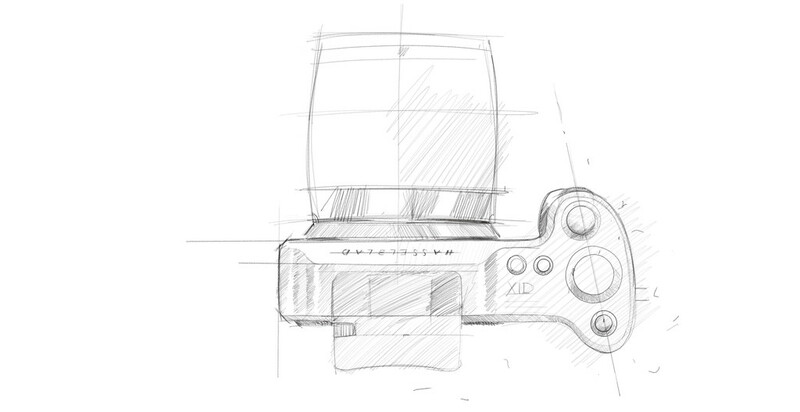 A core ingredient to the beauty of the X1D's design is the seamless blending of form and function. The goal was to achieve a camera that, even after a long day of shooting, would still feel good in the photographer's hand in addition to balance well with short street lenses as well as heavier telephoto lenses. An integral piece was the grip, which the design favoured in its purposeful composition. A lot of work was put into getting the right balance to ensure that the camera could rest securely on your fingertips. In addition, the goal was to maintain a clean exterior free from unnecessary buttons. By keeping the most crucial options a click away, the rest was neatly stored in the intuitive touch screen. The orange button evolved as a vibrant accent, the final touch to balance the calm Scandinavian aesthetics. A symbol for the warmth and passion, the personal engagement and the love of imagery that is the at the core of the Hasselblad brand. Winning numerous awards for its elegantly novel design and superb image quality, the X1D-50c seamlessly blended form and function into one compact package. DxoMark, the experts in image quality, awarded the Hasselblad's X1D sensor the highest score in the history of their independent testing with 102 points, naming it the "best commercially-available medium-format sensor." Image quality on the Hasselblad X1D-50c is outstanding, crashing through the 100-point barrier to become the highest-scoring commercially-available sensor we’ve tested. At 102 points overall, it also achieves either the best, or very close to the best results for both color depth and dynamic range. Out of thousands of products entered, the X1D-50c won the Red Dot Award's top prize as "best of the best" in product design. The X1D-50c was recognised for its top design quality and ground-breaking form, based on three principles: iconic design, outstanding performance and Scandinavian sensibility. The X1D-50c offers a very user-friendly way of interacting with a perfectly designed touch control and intuitive replay functions. The representations on the display in the form of icons are also impressive. Every single detail of this camera documents true design quality. The Technical Image Press Association (TIPA), known for awarding high quality photography products, gave Hasselblad's X1D-50c the Best Design Award of 2017. The TIPA Awards are recognised as the most coveted photo and imaging awards worldwide. The X1D was considered a game changer in medium format photography upon its release in 2016. With its compact build, lowlight shooting capabilities, full flash sync, 16-bit colour definition, and dynamic range of up to 14 stops, the X1D-50c has been used to push the limits of photography in multiple fields ever since, including fine art, documentary, and street. Born in Gothenburg, Sweden in 1906, Victor Hasselblad is the man behind some of the most iconic cameras in history.